Helping homeowners in the Columbus, Cincinnati, Dayton, and Cleveland, Ohio areas regain bathing independence with a walk-in tub! If you have trouble getting in and out of your bathtub, we have a variety of accessibility products to help make your bathing easier and safer. Our tub-to-shower conversions and barrier free showers are a practical and stylish way for you or a loved one to update your bathroom and regain bathing independence. Our tub-to-shower conversions and barrier free showers are customizable and come in a variety of colors and patterns to complement your home. Plus, we have a variety of accessories like grab bars, safety seats, and handheld shower wands, to make your bathing experience safer and more comfortable. One of the most common home rooms for accidents occur in the bathroom. You don’t have to wait for a fall to make a change to your bathroom. If you or a loved one has mobility issues, the accessibility products from New Bath can help bring peace of mind and an enjoyable bathing experience. 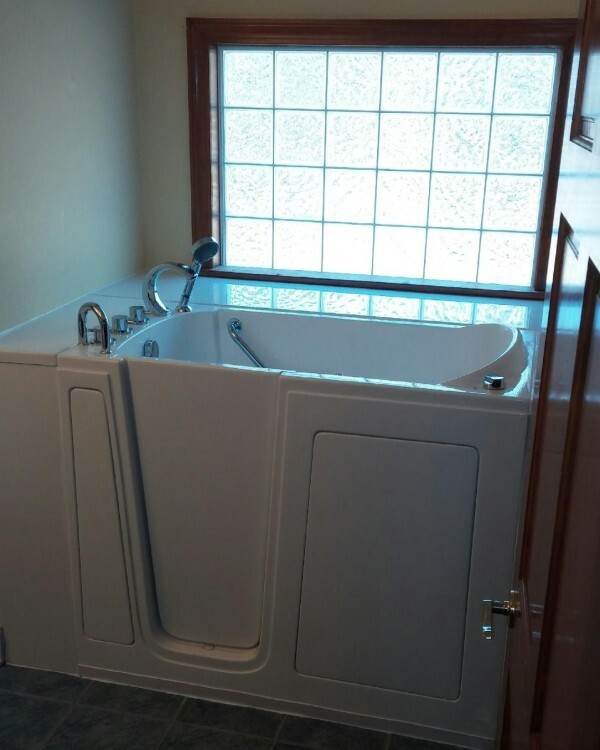 Here at New Bath Walk-In Tubs, we strive to help homeowners in Columbus, Cleveland, Cincinnati, Ohio get a safe, comfortable and beautiful bathroom. Our professionals will take the time to walk you through all of your accessibility options and answer any questions you might have. When you choose New Bath Walk-In Tub you can feel confident that we will provide you with high quality products professional installation and great customer service. We want to help you or a loved one find the perfect bathroom to fit YOUR needs. Contact us today for free estimate! Click here to view the full line of our bathroom remodeling and accessibility products. Schedule your FREE, no obligation in-home estimate today. Contact us to have our Walk-In Tub Safety Specialist visit your home and help you find the ideal Walk-In Tub or Shower for your lifestyle and needs.